About a few hours away from Takayama, there is the area called Okuhida. It is famous for outdoor bathes with the view of Northern Japan Alps. This area has the most open air bathes in all of Japan. There are five hot spring villages (Hirayu, Fukuji, Shinhirayu, Tochio, and Shinhotaka) and is an excellent place to add your plan on your visit to Takayama. 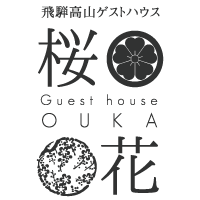 Let us introduce you two of the most popular places of Okuhida hot spring villages! It is a particularly popular hot spring area among 5 villages because of the outdoor bathes located right next to a river. You can wear bathing suit in some bathes and some of the bathes are mixed gender. Besides hot springs, there’s the highest ropeway in Japan, Shinhotaka-Ropeway(It climbs over 1,000meter). Its double decker gondola cars offer spectacular views of the Okuhida region. Here are the some of the places we recommend. It is the oldest, yet a very popular hot spring area in Okuhida. It is on the way to Kamikochi and Norikura, so a lot of travelers stop there to enjoy bathing. Express bus from Tokyo to Takayama stops at this place as well. There are numbers of Japanese Inns(Ryokans)there. It is a great place to relax and enjoy the nature! There is also a 2-day free pass for the travel between Takayama, Hirayu, and Shinhotaka(4,110yen). With this pass, you will get an unlimited use of Nohi buses. It is available at Takayama Bus terminal. If you are looking for a hot spring place in Takayama city, we recommend that you check these places. *Note that at most of the hot spring places, tattoo is banned. So if you have tattoo, you should ask for a private bath.